The inspiration for Chanel’s Spring/Summer 2018 collection was the city of Naples. The birthplace of their Global Creative Make Up Artist and Color Designer, Lucia Pica ( I like the name Lucia). Chanel.com that it took some work to get the yellow just right. I appreciate their efforts. 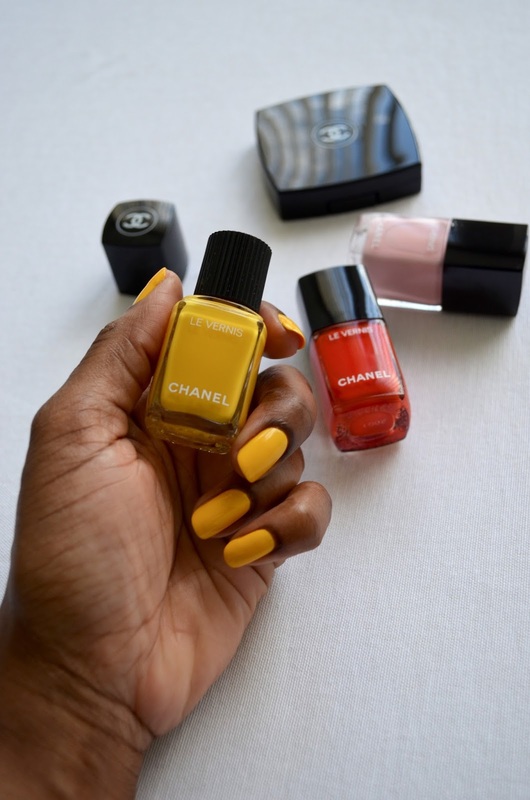 Giallo Napoli is the best yellow nail polish I have ever used. Wearing it was like carrying a very cute puppy around. Everywhere I went someone stopped me to compliment the color. 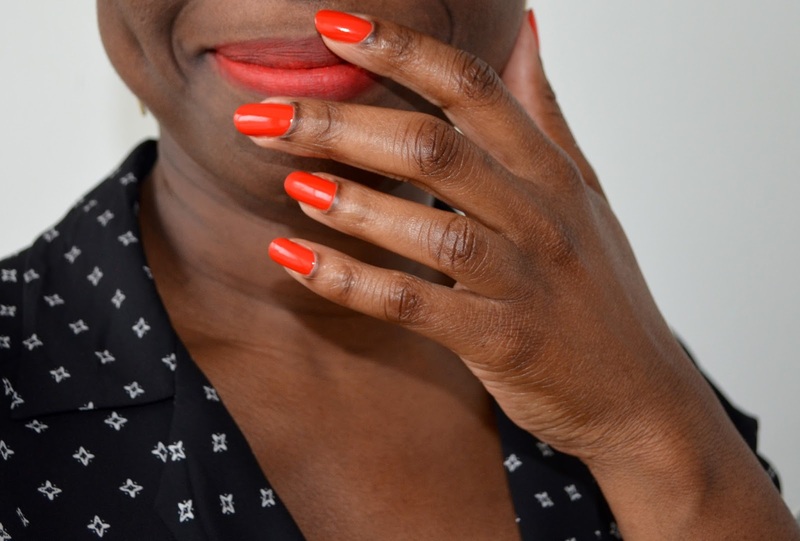 I usually change my nail color every week but I wore Giallo Napoli for three weeks straight. It was that much fun. The next fan favorite was the pink nail polish- Nuvola Rosa. 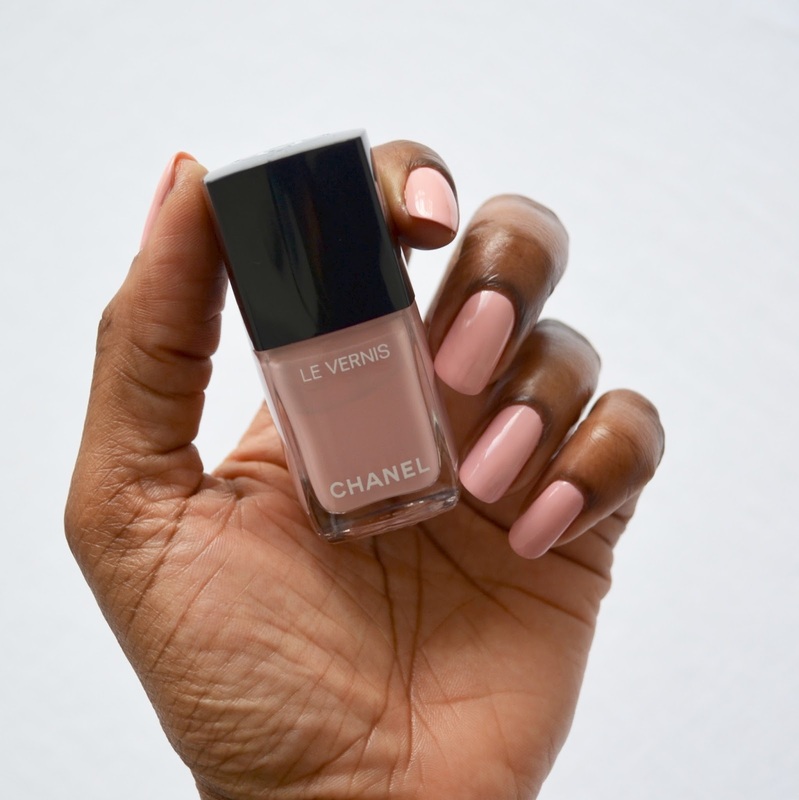 It’s a sophisticated light pink that would be flattering on a variety of skin tones. 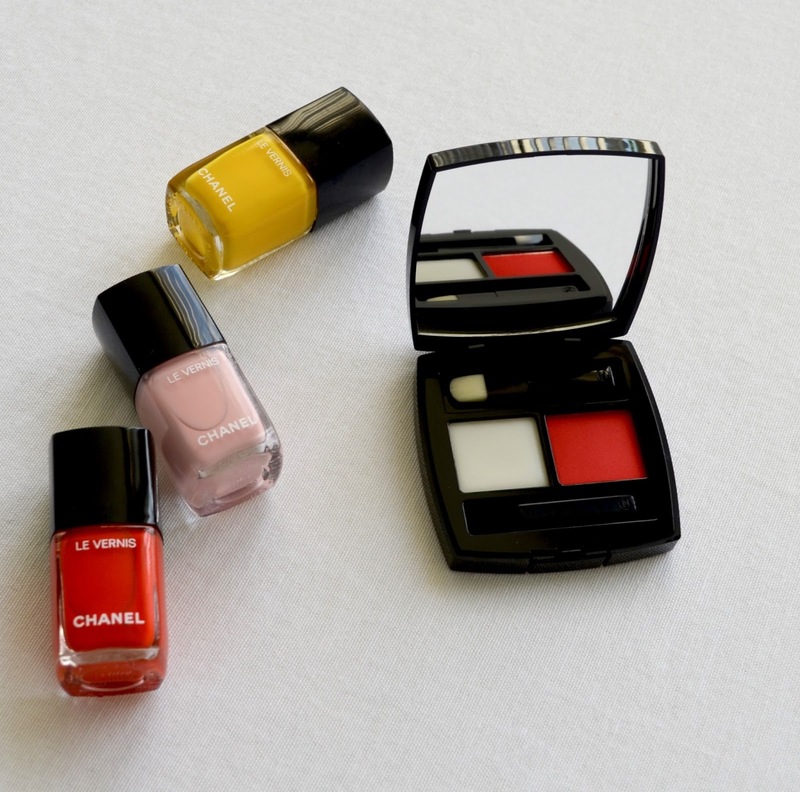 Chanel makes some of the best red/orange nail polishes and Arancio Vibrante is an example of this. 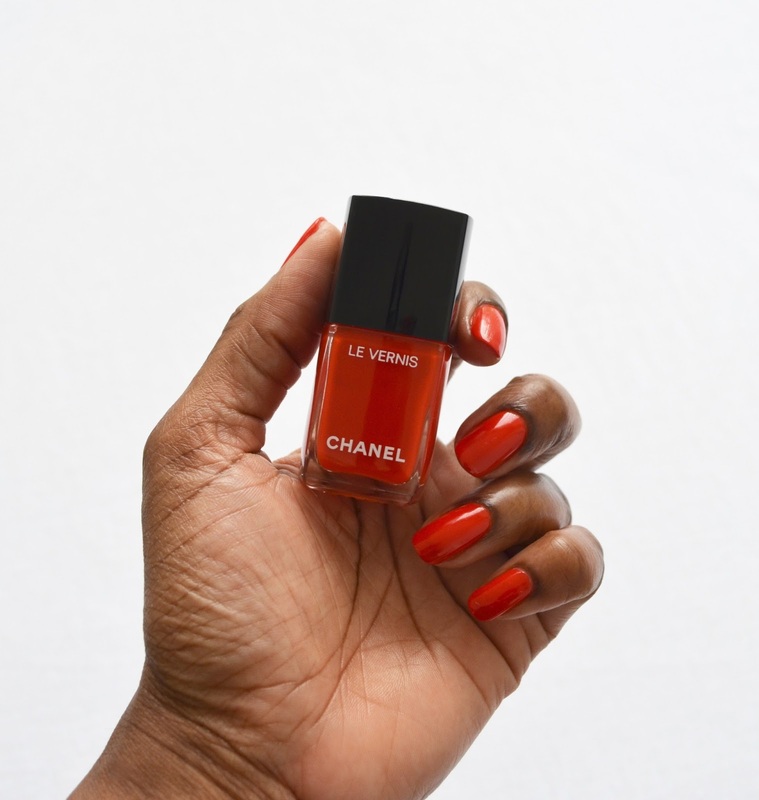 It’s a rich and creamy reddish orange that screams bring on the sun. All of these colors wore like iron with minimal tip wear after seven days. Now the lip balm and powder duo Rosso Pompeiano is interesting. As it was explained to me by my friendly neighborhood Chanel counter lady you apply the balm to the left first, and then layer the powder. 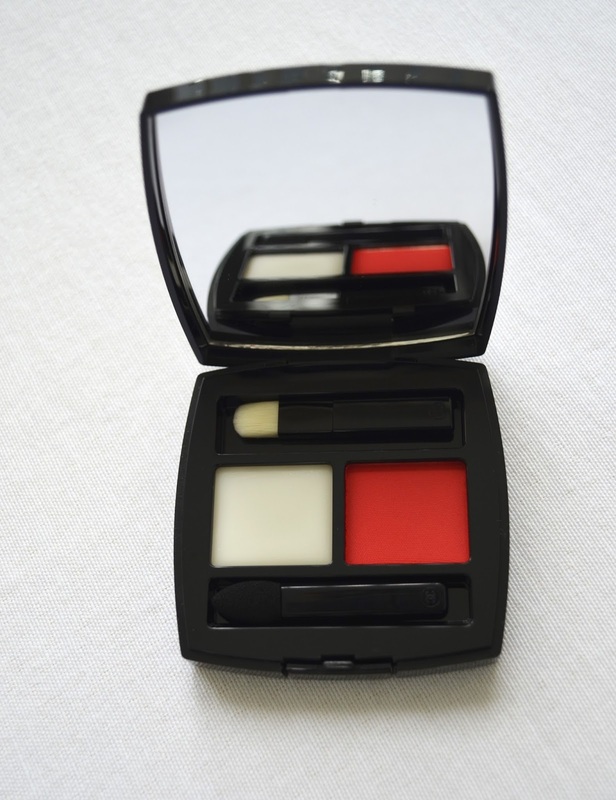 The powder can be layered over other lipsticks and/or used as a blush. 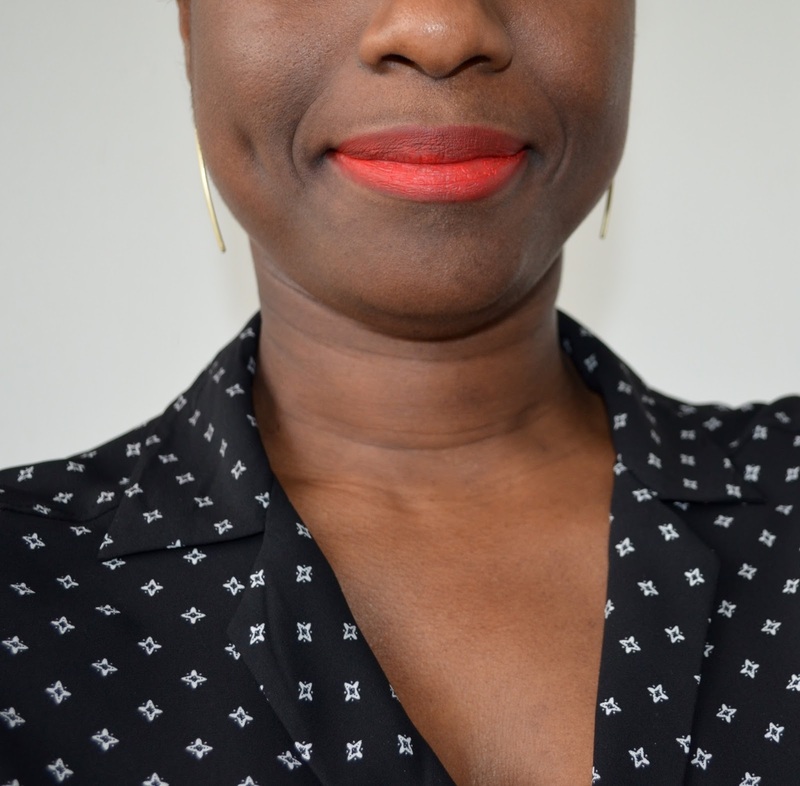 I’ve been using just the balm layered with the powder in the compact. I like that I can layer the powder lightly and get a nice stain or build it up for a fully pigmented pout. The color is a matte powder so this is not for when I’m having an especially flaky lip day. Also, because it’s a powder if you drink anything you are going to have to reapply it. I remember wearing this for the first time at work and thinking in the morning, yesss this is a “lewk”. That same day I was on my way to lunch after having had several cups of tea. When I looked at myself in the rear view mirror I looked like I had been drinking Kool Aid. I think Ms. Pica hit it out of the park with this collection. The colors are perfect for spring and summer. 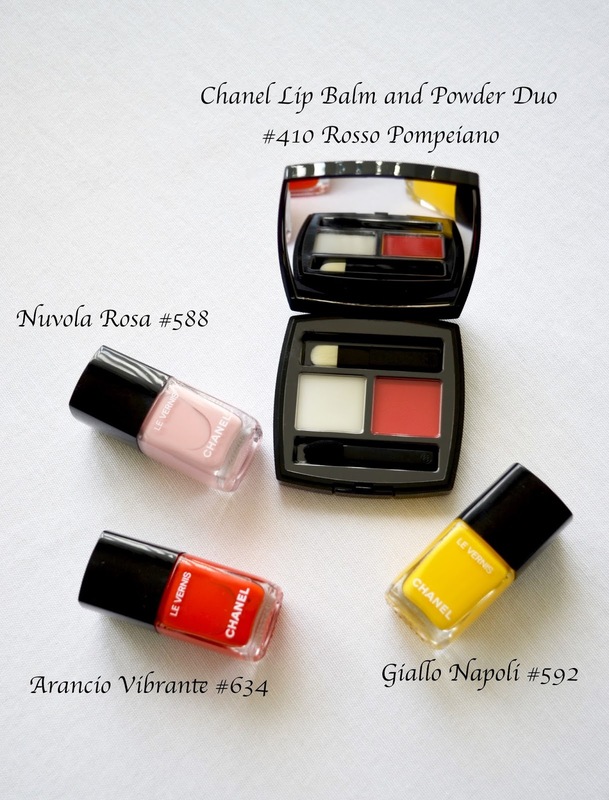 My favorite item is the Giallo Napoli nail polish. What’s yours? 3 weeks straight? Wow! No wonder you got stopped and questioned. I don't think I have worn a yellow nail polish before. But since you convinced me to wear red lipstick and I never looked back, I think I can give it a try. The lip color looks great on you. Nice and detailed review! 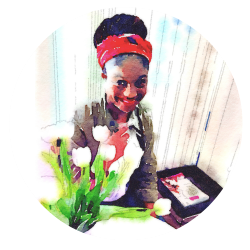 Thank you Nerline. That yellow would look great on you. I'm glad I got you to try red lipstick 🙂 Let me know if you try the polish. Isn't it lovely! The powder isn't drying but it is matte so if your lips are dry it will accentuate that. I can't get over how nice that yellow polish is. They have a super bright orange that is only available online that I am thinking of getting. Thanks for stopping by!